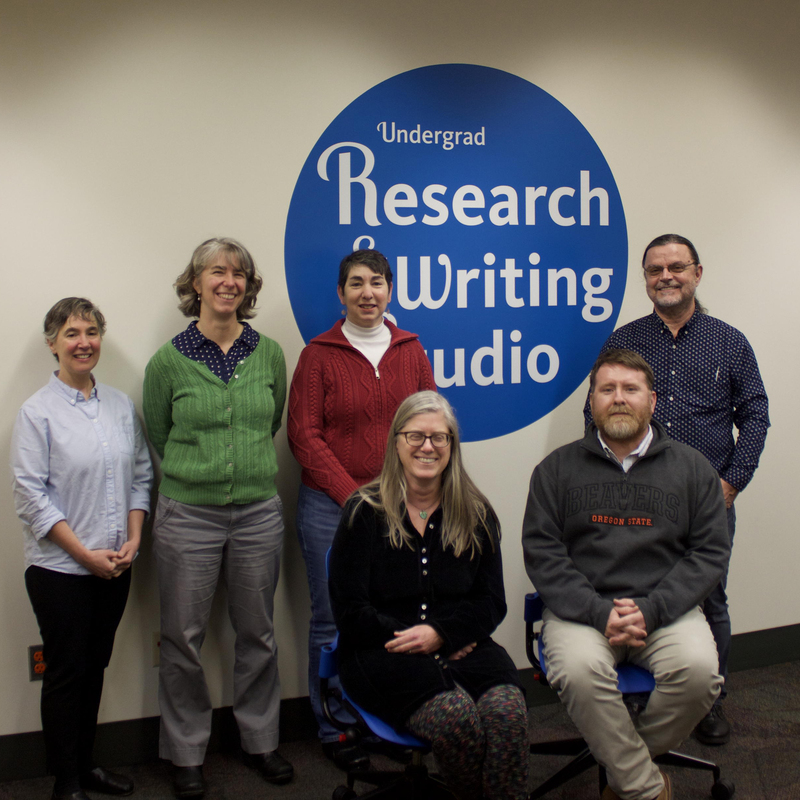 CHICAGO— The Oregon State University (OSU) Libraries and Press has been selected to receive the 2019 Association of College and Research Libraries (ACRL) Instruction Section (IS) Innovation Award for its Undergrad Research and Writing Studio, a dynamic and flexible space where students can develop skills in information literacy, media literacy, data literacy, and rhetoric and composition. The Studio was implemented by a team of writing center and library faculty including Dennis Bennett, Chris Ervin, Uta Hussong-Christian, Jane Nichols, Hannah Rempel, and Beth Filar Williams, and has grown through ongoing collaboration into a team of librarians, writing center staff, and media specialists. The annual award recognizes a project that demonstrates creative, innovative or unique approaches to information literacy instruction or programming. Donated by EBSCO Information Services, the award consists of a plaque and cash prize of $3,000. The Undergrad Research and Writing Studio is focused on hands-on and experiential learning, with help delivered at the point of need. It has allowed librarians at the OSU Libraries and Press to reimagine the traditional one-shot in first-year composition and across the curriculum, while also enriching the learning environment and extending the reach and impact of the university Writing Center. For more information regarding the ACRL IS Innovation Award, or a complete list of past recipients, please visit the awards section of the ACRL website.